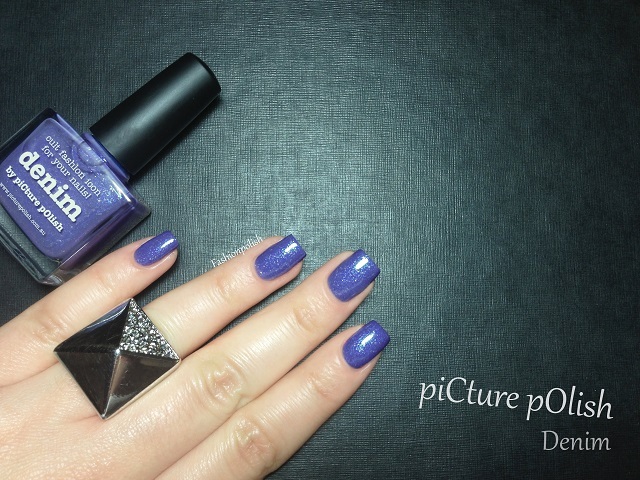 Fashion Polish: piCture pOlish Denim Review! I have new piCture pOlish to share with you this week : Denim! 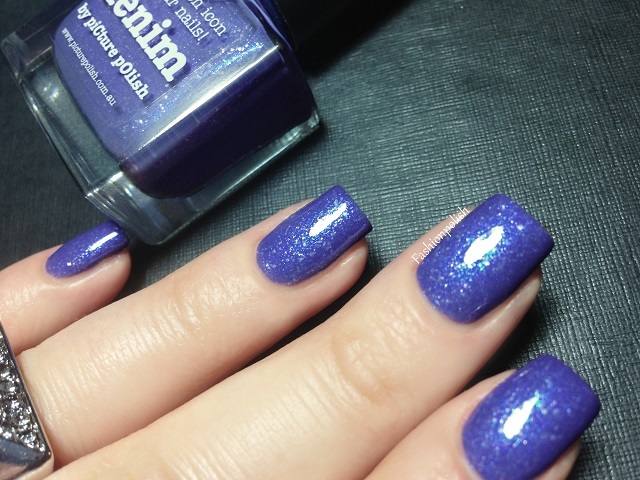 piCture pOlish Denim is a muted periwinkle base infused with bright blue shimmer as well as numerous thin white flakies. I must admit that I didn't think much of it at first but once on the nails I literally fell in love! It's complex and sophisticated, unlike anything else I have. Formula was a little thick but still easy to work with and I used 2 coats here for complete coverage. piCture pOlish Denim retails for AU$10 and can be purchased directly from piCture pOlish.com.au or through their international network. What a gorgeous polish, great swatches! That's such a pretty color. Its such a unique polish, I think I need this in my collection. Drool... I love this so much I could marry it. That is the most beautiful periwinkle blue ever. Look at all that sparkle. I would be just staring at my gorgeous nails if I was wearing this stunning polish. Love this color! Have to find something similar, because picture polish is too expensive to ship in my country. Gorgeous polish! Also; may I ask where you got that fabulous ring? Oh this is gorgeous. I love the flakies in it.